This movie can be viewed in two different lights. The first, and more unflattering, is that of a straight zombie flick, shot on a shoe-string budget by some basically talented people with big ideas and a love for horror who haven't completely pulled off the movie they were trying to make. On the other hand, if you have seen the films official web site and watched the behind-the-scenes documentary The Dead Next Door: 15 Years in 15 Minutes, or read any of the number of articles about it, you will probably have a slightly greater appreciation for the movie and be a little more willing to cut it some slack. Does it deserve our willingness to be "grade it on a curve" or should "the most expensive movie ever shot on Super-8" be forced to stand on its own merits? Well, I guess that is up to individual viewer. Here is, however, my impression of this ambitious movie. I actually got to see The Dead Next Door from both sides of the fence. I first rented it sight unseen from a local video store about 10 years ago. I, to be honest, wasn't very impressed and in fact, didn't even recall the movie until I recently bought it after reading a lot about it on the web. The first time I saw it, I thought the gore was cool, but didn't much care for the acting and really couldn't get passed the movie's flaws. After reading some of the online reviews, going to the DND web site and generally finding out a lot more of the movie's background, I was able to see it for what it is. The Dead Next Door is a very ambitious movie that wants very much to be a George Romero-esque zombie epic, but falls a bit short. Still, the movie is a loving tribute to the genre and it is now quite easy to look over its short comings when we see how earnest and dedicated its creators are. A lot of SoV (shot on video) horror flicks come off looking really cheap and give the impression of having been just thrown together over the weekend in hopes of cashing in on cool box art, an intriguing title and gullible horror fans. The Dead Next Door, is however, almost a love letter to zombie movies and their fans. It is obvious that these guys didn't have a lot of money, but it is equally obvious that they gave the project their very best and were not just playing around. It is clear that the Akron, Ohio based filmmakers poured everything they had, both financially and creatively, into this project. Perhaps this is why genre favorite Sam Raimi agreed to finance The Dead Next Door while he was trying to raise funds to produce his own film Evil Dead II. 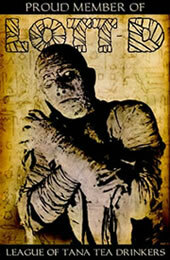 A terrible man-made virus has reanimated the recent dead and zombies are taking over the world. Protesters for zombie rights are trying to protect the flesh eating monsters and elite government forces are trying to exterminate the walking dead while scientists try desperately to find a cure for the virus. Hoping to find some clues to a cure at the site of the lab in which the virus was created, members of the elite zombie extermination squad are sent to Akron, Ohio to the farm house of the Doctor who created the virus. Along with hordes of hungry corpses, they also find a Jonestown type zombie worshipping cult which is lead by a charismatic leader. With a story like this, The Dead Next Door is a treat for zombie fans. However, this whole cult plot line bogs down the movie a bit in the middle and leave a bit of lull in the zombie action. Still, of you can get passed the sometimes sub-standard acting, this can be a fun movie. 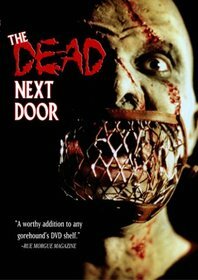 On my second viewing of The Dead Next Door, I can honestly say that my first impression of 10 years ago was for the most part wrong. I originally dismissed the movie as a load of junk. Now, however, I can see it a bit differently. Much like The Dead Hate the Living, this movie has been created by horror fans for horror fans. The difference between the two movies is that, although shot with a much lower budget, The Dead Next Door delivers while TDHTL doesn't. The only real problem I have with The Dead Next Door now is the homages it tries to make. With characters name Savini, Raimi, Carpenter and more it seems like this aspect of the movie was a bit overdone. Still, I would recommend this movie to anyone looking for a good zombie movie, not a great one and for anyone who isn't afraid to eat lot of cheese with their BRAAAAAINS! Executive Produced by Sam Raimi, under the pseudonym of "The Master Cylinder."